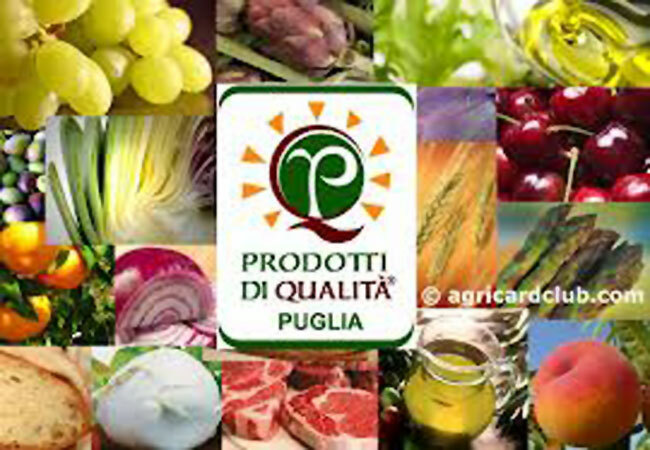 “Apulia Quality Products” is a collective European Union quality brand with origin indication. The brand guarantees the quality and origin of a product. Apulia Region, based on the Reg. (CE) n. 207/09 registered on the 11/06/2012 at the office for the harmonization of internal markets - UAMI the request of registration of the brand “Apulia Quality Products”. Only by following the online procedure it is possible to acquire the “Apulia Quality Products” brand. Promoting and supporting marketing and sale of these products. The brand is in line with the regulations relative to the European Union orientation for State help in the agricultural and forest 2007 -2013 sectors (2006/C 319/01) and European orientation on behalf of product advertisement as foreseen by Annex I of the Treaty of the European Union Operation and also of specific products not included in the above-mentioned Annex. As a main message the quality brand delivers the indication of the quality of a product and, as a secondary one, the indication of its origin. The quality brand ensures complete traceability of products. For final consumers the quality brand ensures a complete traceability of the purchased products. For businesses that acquire the quality brands the added value is the qualification of their products in the market. 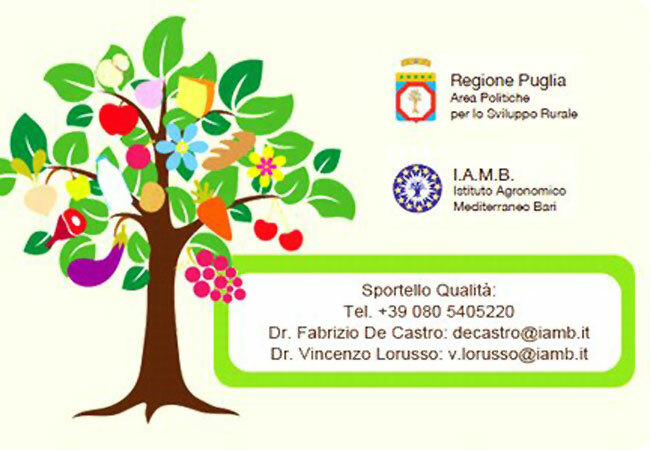 Enhancement of Apulian agrofood products in national and international markets. As indicators the increased business flow of the enterprises that acquire the brand. Other European organizations can register a quality brand to protect and promote agrofood products.